The Indian arm of Volvo, the Swedish carmaker declared that it has sold a record-breaking 2,194 units in Jan-Oct 2018 period, which is a growth of 40 per cent year-on-year. Volvo said that huge sales were by the XC60 and the latest XC40 SUVs. As per the records, Jan-Oct 2018 sales beat the sales done throughout 2017 (2,029 units). Not only new launches helped but also the expansion of network donated to growth. The Volvo company is hoping that this Diwali season will help them to grow the sales. 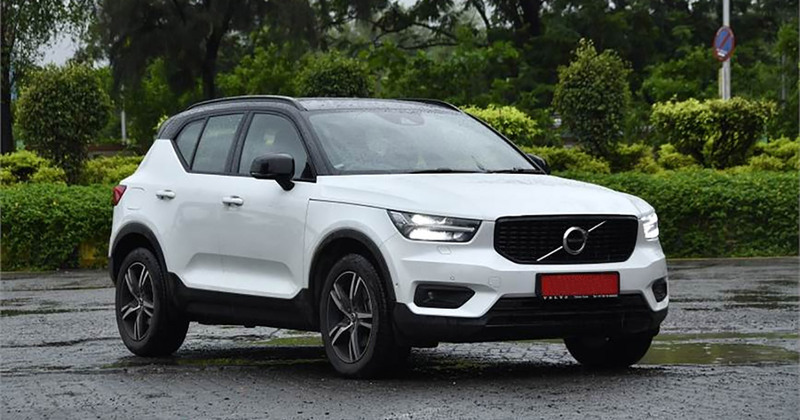 Since January 2018, five new dealerships have been opened by Volvo India such as - Raipur, Noida, Kozhikode, Kolkata and Indore which is 24 dealership in 22 cities in October. There is a huge growth registered by the Swedish carmaker in the first nine months of 2018, though on a very relatively lower base. The total sales done is 1,896 units i.e. 34 per cent year-on-year as compared to the year 2017 (1,413 units sold). Mercedes-Benz is currently leading the Indian luxury car sales as it sold nearly 11,789 units in the period of Jan-Sep 2018 which is considerably lower by 0.7 per cent. Recording an 11 per cent growth, the main competitor BMW sold 7,915 units (including Mini sales) during the same time.